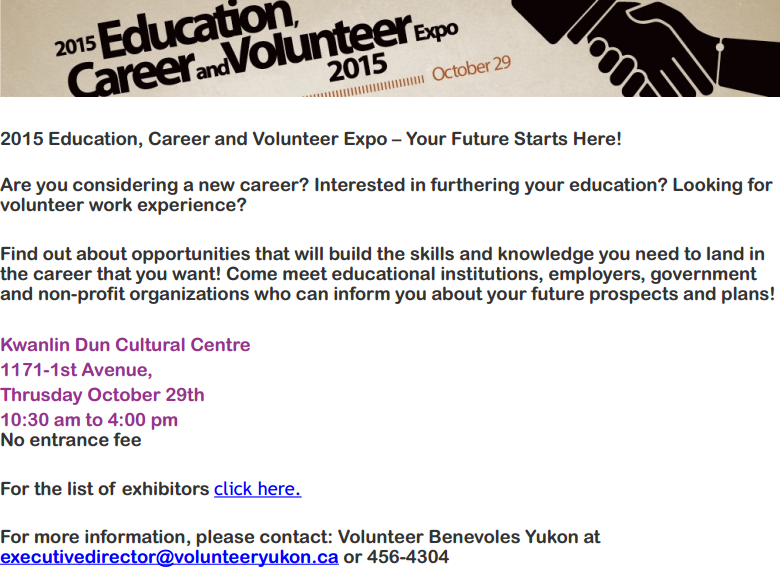 If you’re around on Thursday October 29th, and are looking at finding a new job opportunity, or volunteering in an interesting organization where you can learn new skills, come check out the 2015 Education, Career and Volunteer Expo at the Kwanlin Dun Cultural Centre. We’ll be there talking to everyone who’s interested who stops by our table. Previous Previous post: School is Here Again! Next Next post: 4 Technicians moving on to bigger and greener grass.